The CIDER 2019 summer program focuses on Volcano Science. Volcanic eruptions are common phenomena and more than 50 volcanic eruptions have occurred in the US alone in the past 31 years. These eruptions can have devastating economic and social consequences. 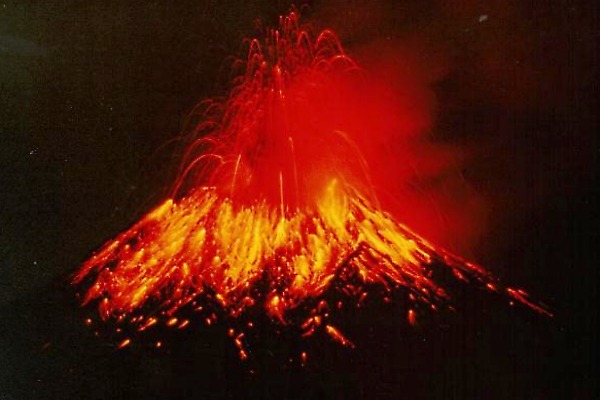 Many volcanic eruptions have precursory signals that last from days to months while the actual eruptive events can last several years or decades. Volcanic eruptions and emissions can modulate climate and affect atmospheric conditions. Volcanoes are pathways of samples and signals to the surface and provide critical information on deep earth processes. Significant progress has been made in recent years in terms of advancing our understating of volcanoes, their eruptions, repose, unrest, precursors and timing (NAS ERUPT report, 2017). Volcano science is multi-disciplinary and benefits from approaches in modeling, geophysical and geochemical measurements and sample collection, remote sensing and field work. Volcanoes are a key component in recent interdisciplinary research opportunities provided by GeoPRISMS and ongoing or future community efforts such as COVE (Community Volcano Experiment) and CONVERSE (Community Network for Volcanic Eruption Response). CIDER's collaborative and interdisciplinary nature provides an ideal venue to expose students and postdocs to the rich developments in volcano science, to help synthesize ongoing work in volcanic systems, and to help develop new research teams and research directions. We plan to take the interdisciplinary approach that is common to CIDER to develop the science program and tutorial content. In brief, the purpose of CIDER 2019 is to bring together junior and senior scientists from different disciplines to cross-educate each other and help advance volcano science as a multi-disciplinary research topic. Week 1 - 4 (June 17 – July 12) Lectures, tutorials and workshop open to advanced graduate students and post-docs, as well as senior participants. Travel and on-site expenses is provided to those senior participants that stay for two weeks or longer and to grad students/post-docs that commit for the 4 weeks of the lecture tutorial program. We cannot provide support for travel from outside of the US. However, on-site support for foreign participants (senior or junior) accepted to the program is provided. This summer program will be held at the University of California, Berkeley, CA, USA.